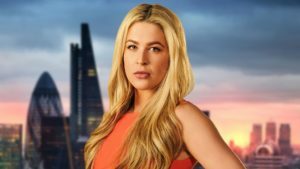 The BBC has announced the return of The Apprentice - and readers may recognise one or two of the new candidates. Lord Sugar will again put 18 new candidates through their paces in a series of challenges as they compete to win £250,000 of investment for their business, and the Amstrad founder as their business partner. The candidates include Jade English, a 25-year-old PR and marketing manager from Manchester who's previously worked for Banc Media and Carat. Also lining up for another series of ritual humiliation is Joanna Jarjue, a digital marketing manager from Manchester who was the digital innovation manager at Big Brand Ideas. Prior to that, she was contracted by Google as an agency development manager. Karren Brady and Claude Littner will be returning to the show as Lord Sugar's business associates. And comedian Rhod Gilbert will resume his role at the helm of sister show You’re Fired, transmitting at 10pm each week on BBC Two straight after the main show. 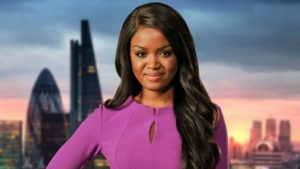 The Apprentice is a Boundless production for BBC One. Cal Turner is senior executive producer, David Vallance is executive producer, Hannah Wyatt is MD for Boundless and Sarah Clay is Commissioning Editor for the BBC. It will air weekly on Wednesdays at 9pm on BBC One from Wednesday 4 October.